DISCOVER more about your favorite store! 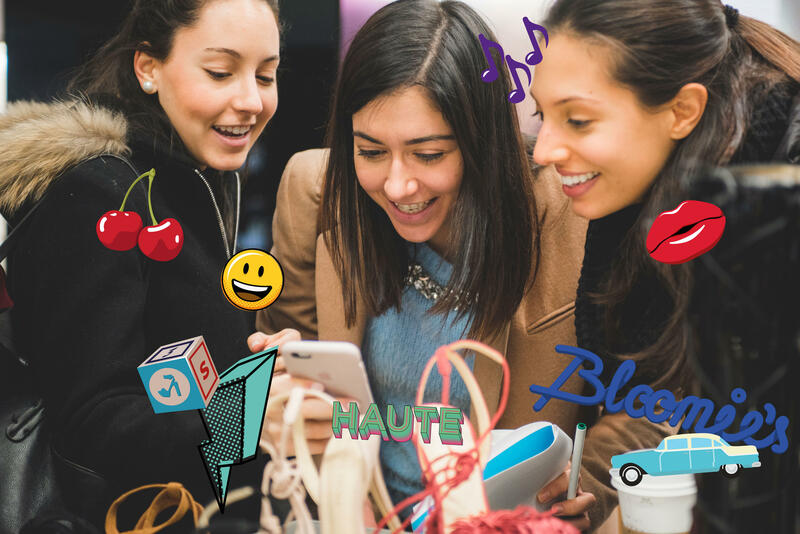 Want to experience shopping in a whole new way, learn all the insider knowledge on one of the oldest department stores in NYC, and walk away with some sweet, sweet prizes? The Bloomingdale's Hack Scavenger Hunt! As part of Bloomingdale's 100% Campaign, Museum Hack has created an interactive Scavenger Hunt that gets visitors to see the department store and its brands & history in a completely new light, all while having fun, getting a little competitive, and engaging with both the staff and the products in-store. We've learned all about Bloomingdale's history, its influence on the fashion world in NYC and abroad, and all the amazing secrets hidden in its archives. JOIN US FOR A WHOLE NEW SHOPPING EXPERIENCE! Sign up for an arrival time during one of the above days, and find one of our smiling staff waiting to welcome you and start you on your hunt just inside the South entrance on Lexington Avenue. You'll know it's us by the MUSEUM HACK sign we'll have! COST: $10 for each participant to compete in the Scavenger Hunt. Each participant that buys a ticket will receive $10 bMoney Prize – as long as you complete the challenge (plus some bonus prizes for high scoring teams!). Everyone is welcome – all you have to do is sign up! Create a team in groups of 2-5 people for the best experience of the Scavenger Hunt. We suggest wearing comfortable shoes and arriving with a charged smartphone in hand, as it will help you complete challenges along the way. The last Scavenger Hunt will be sent forth 1 hour before the ending time! Come join us for the Scavenger Hunt on Thursday, March 10th! Start your Scavenger Adventure around Bloomingdale's 59th Street location with Museum Hack – we'll be just inside the South entrance on Lexington Avenue. Can't wait! Come join us for the Scavenger Hunt on Saturday, March 12th! Start your Scavenger Adventure around Bloomingdale's 59th Street location with Museum Hack – we'll be just inside the South entrance on Lexington Avenue. Can't wait! Come join us for the Scavenger Hunt on Thursday, March 17th! Start your Scavenger Adventure around Bloomingdale's 59th Street location with Museum Hack – we'll be just inside the South entrance on Lexington Avenue. Can't wait! Come join us for the Scavenger Hunt on Saturday, March 19th! Start your Scavenger Adventure around Bloomingdale's 59th Street location with Museum Hack – we'll be just inside the South entrance on Lexington Avenue. Can't wait!